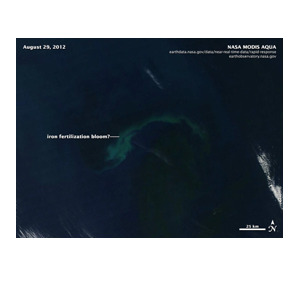 In 2012, OCB released a position statement regarding its stance on commercially driven ocean fertilization experiments that do not adhere to international protocols. OCB continues to be in support of scientifically rigorous, well-controlled ocean fertilization experiments that comply with international protocols for ocean dumping and marine pollution. “Iron-Dumping Ocean Experiment Sparks Controversy,” an article in Nature published May 2017. Canadian foundation says its field research could boost fisheries in Chile, but researchers doubt its motives. 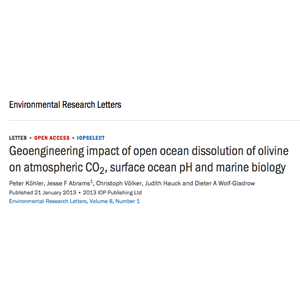 A 2013 study addresses geoengineering impact of open ocean dissolution of olivine on atmospheric CO2. 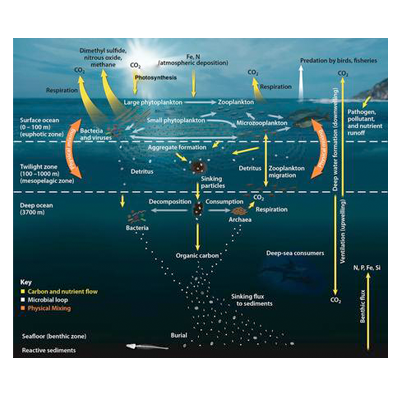 The Ocean Carbon and Biogeochemistry (OCB) Program developed this website as a clearinghouse of ocean fertilization news and informational resources to 1) increase public knowledge and awareness on this topic, and 2) advance scientific research to improve our understanding of the implications of ocean fertilization for marine ecosystems. 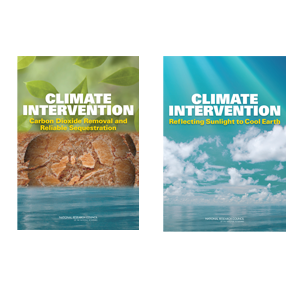 Learn more about OCB and other organizations’ stances on ocean fertilization experiments.